A NPD Group report released Tuesday - one day before Apple's much-hyped iPhone 5 announcement - claimed that the iPhone 5 launch won't have quite the same impact on the U.S. market that past iPhones have had. NPD analyst Stephen Baker cited slowing smartphone growth, the ubiquity of Apple and Samsung devices and the strength of Apple's current competitors as reasons why the iPhone 5 might not gobble up the U.S. handset market at quite the same rate the iPhone 4 and iPhone 4S. But Scott Sutherland, managing director of equity research and resident Apple expert at Wedbush Securities (a research and stock-picking firm based in Los Angeles), said that to only consider Apple's U.S. business is missing the point. He talked with TechRadar about the iPhone 5's global implications, plus what other surprises Apple has in store for the watching world Wednesday. Like Baker, Sutherland predicts that the iPhone 5 launch will be huge globally. In fact, according to Sutherland, it could be Apple's biggest launch ever. 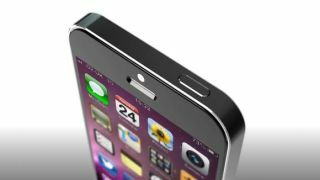 "It'll be a bigger splash than the iPhone 4S," he told TechRadar. The difference, he said, boils down to iOS 6. "[The iPhone 4S's launch] was really about [Siri]. This is a new OS coming out on it. "It's going to be enhanced speech, it's going to have their own maps, [and] it's going to be a bigger phone. It's going to be a 4G phone." Don't count Apple's competitors out, though, Sutherland warned. The burgeoning Windows Phone 8 market could open up a window for Microsoft. However, the well-documented struggles of HTC, LG and RIM, among others, he said, do allow market dominators Apple and Samsung to hold a tighter grasp on smartphone market. While Baker predicted the iPhone 5 won't overtake the U.S. market in quite the same manner as its predecessors, Sutherland said viewing Apple through an American-only lens is erroneous. "We've got to get out of our U.S.-centric thinking when we talk about global businesses," Sutherland said. After all, Apple is a global business and smartphones are still growing rapidly worldwide. But being a global business doesn't mean the iPhone is ubiquitous everywhere, and there's plenty of room for the iPhone 5 to make a big impact around the world. "You'll go to places like India, Malaysia, Thailand, Indonesia, and you will not see many Apple phones out there," he explained. "It's very U.S.-centric thinking to think they're everywhere globally." The iPhone 5 is sure to be a bigger upgrade over the iPhone 4S than the 4S was over its predecessor, likely going way beyond Siri, as Sutherland points out, but does Apple have any surprises left up its sleeves? For Sutherland, the answer is unequivocally yes. "Apple typically always has a little bit of surprise when they announce a new product," Sutherland said, but that surprise isn't going to be the iPhone 5 on Sept. 12, as everyone's already been talking about it for months. Rather, Sutherland predicts that an "iPod Music" subscription radio service akin to Spotify or Pandora will be Apple's ace-in-the-hole this time. The possibility of an iPod Music radio service first popped up on Monday, and Sutherland says it makes perfect sense to announce it alongside the iPhone 5 and new iPods Wednesday. "Obviously with the iPod and the iPhone, that would be a timely thing," he said. "You don't announce that with a Mac, or you don't announce that with an Apple TV or an [iPad Mini]. "It typically is a phone or an iPod that plays your music when you're portable. I think that would make sense."